Taking care of your landscaping in Austin, Buda, and Kyle Texas is one of the most important parts of keeping the outside of your home looking great. There is just a lot to do like removing weeds, hedge trimming, planting, and installing mulch just to name a few. 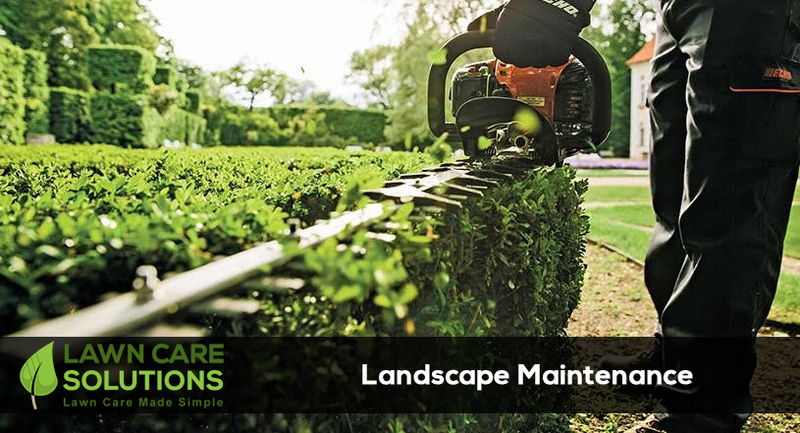 If you would enjoy a professionally done landscape job call the professional landscapers at Lawn Care Solutions today. Our team of landscaping professionals have the experience, tools, and training to properly care for your landscape. Give us a call and we will give you a free estimate and schedule your service. Also, every service comes with our 100% Satisfaction Guarantee. If you are not happy with our work we will send our team to fix the item in question FOR FREE! Nothing is more important to us than your complete and total satisfaction.